This couple went way ahead of giving their dog a ‘walk’ to keep him fit. 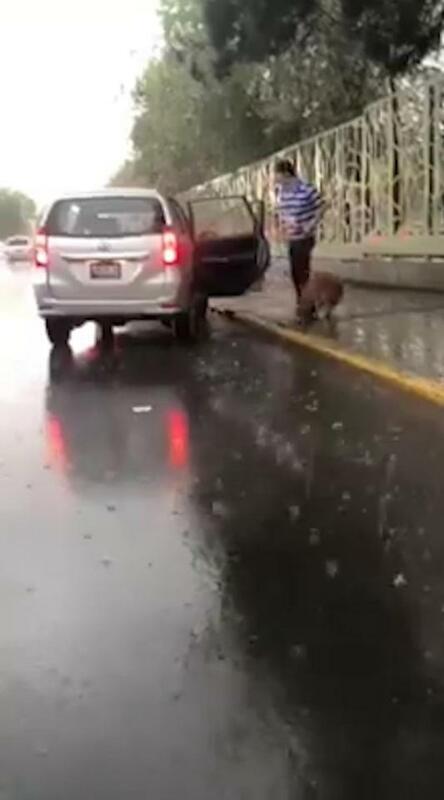 The exhausted animal nearly got run over as it is struggling to keep up alongside their car with the wife holding its leash from the inside, under the pouring rain. 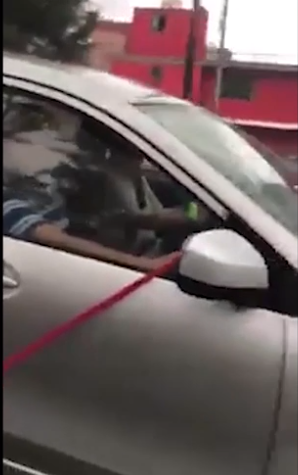 A motorist filmed this heart-stopping video of the dog running indifferently in the city of Puebla in central Mexico allegedly for ‘exercise.’ A couple inside a silver Toyota Avanza was holding its rope from the inside while driving the car faster than the poor dog can match. 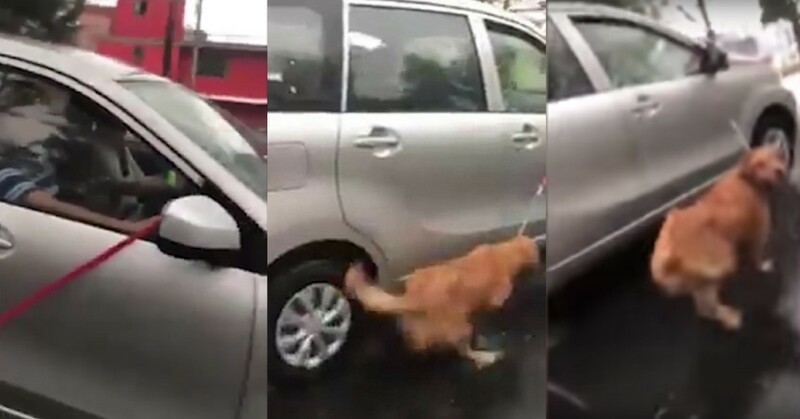 As heard in the footage, the car driver behind the Toyota was shouting “Hey, get that dog inside. 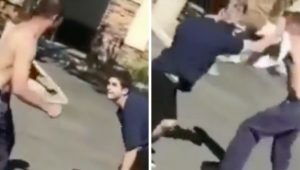 Get him inside the car,” while recording the video. 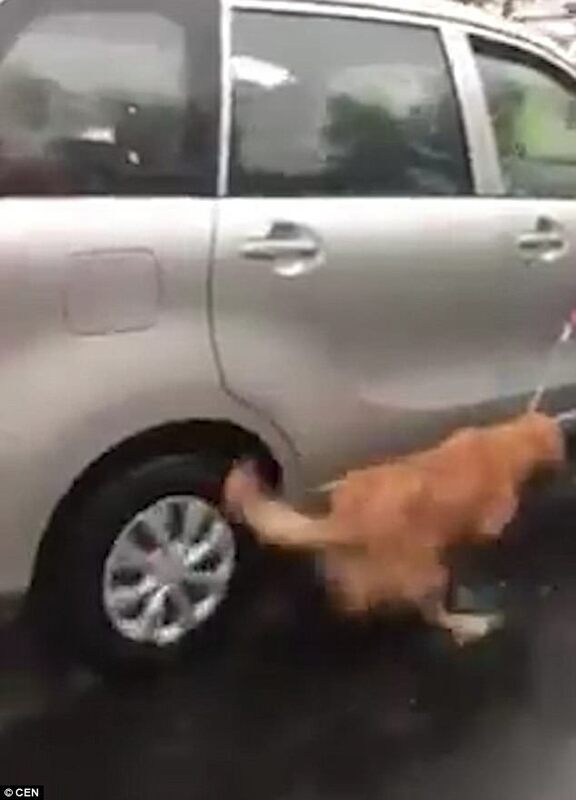 Despite this, the owners heartlessly ignored his plea and continued driving the car, dragging the dog anew under the pouring rain. Fortunately, the driver recording the deplorable act was able to catch their plate number. 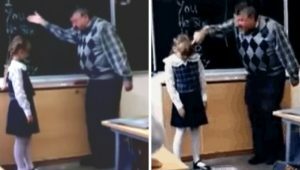 The footage clearly showed that the couple inside the car, wife holding the leash, are pretending not to hear a thing. Passers-by were also pleading the owners to stop for the sake of the sick animal. The dog is even looking at the concerned driver’s direction apparently to ask for help. It is obviously exhausted, barely keeping up with the car’s speed. 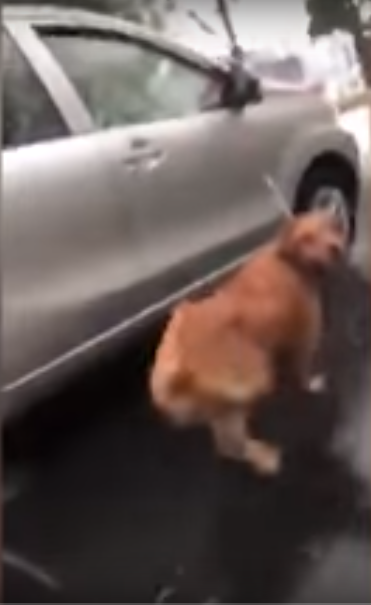 At one point in the video, the weak doggy almost got run over in the rear wheel. Finally, a white vehicle pulls up beside the Avanza to revolt against the apparent animal cruelty. The couple eventually paid attention and stopped the car. The man went out of the wet pavement and took the remainder of the dog’s walk on foot. They donot need animals ! 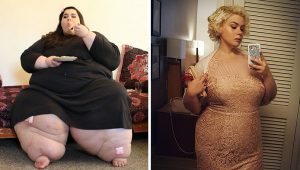 They need to be done the same way and then put in jail for the rest of their miserable lives!